Following on from the chair project for St Mary’s Cathedral, Studio Meda developed a simpler chair with straight legs, and plywood seats and backrests for a church in Olpe near Cologne in Germany – a refurbishment project by Schilling Architects. 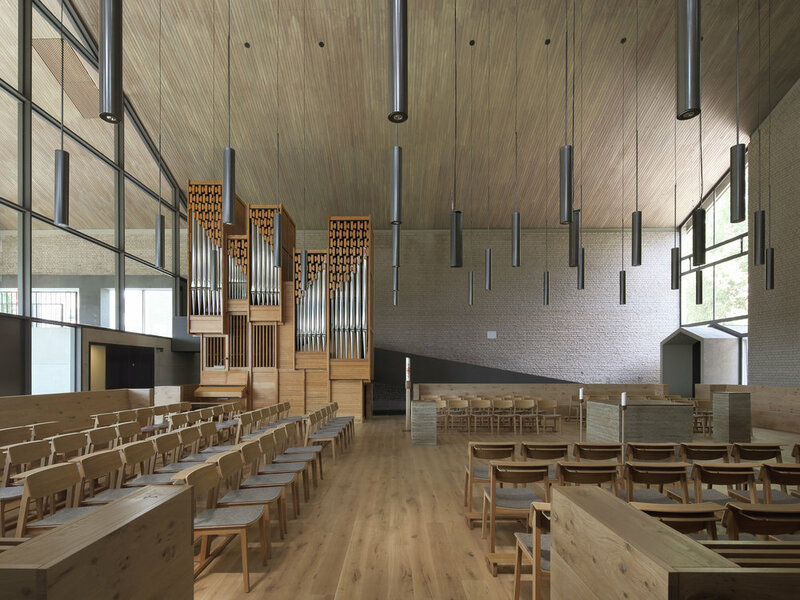 As the architecture of this project is more contemporary, in comparison to St Mary’s Cathedral, the chair’s design was more pared down as a response. This chair was developed with furniture maker E15 in Frankfurt, and is available through them.